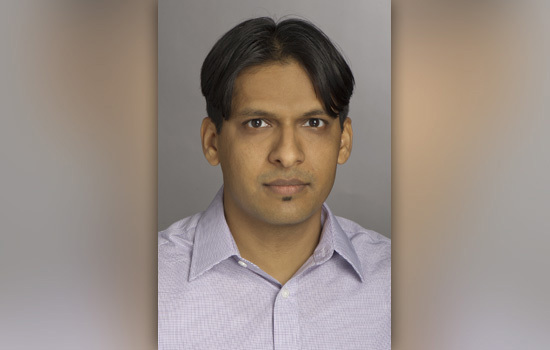 Rochester Institute of Technology professor Mishkat Bhattacharya will co-host a meeting on levitated optomechanics at the Optics Society of America headquarters in Washington, D.C., from Dec. 2-4. The incubator capitalizes on new approaches to nano-optomechanics and looks to leverage optically levitated nanoparticle systems. This area of photonics uses beams of light to hold nanoparticles in space. It can be used to measure disturbances of nanoparticles, such as the presence of trace amounts of biological agents like anthrax, the existence of weak gravitational forces and to test principles of quantum mechanics. Bhattacharya, assistant professor in RIT’s School of Physics and Astronomy, will lead the meeting along with Peter Barker, from University College, London, and collaborator Nick Vamivakas, from the University of Rochester’s Institute of Optics. Bhattacharya theoretically models nanoparticles trapped in free space based on experiments conducted by Vamivakas. A $489,730 grant from the Office of Naval Research Office funds Bhattacharya’s research in this area of precision sensing. RIT postdoctoral research associate Brandon Rodenburg and microsystems graduate student Mohad Baboli will also attend the event as members of Bhattacharya’s team. The OSA Incubator is sponsored by the Army Research Office, the Office of Naval Research, RIT and UR.